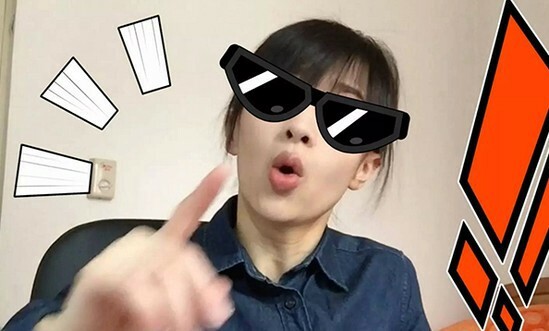 As an international marketer inChina, how would you react to the trend that China’s video blogging industry istransformed by a 29-year-old girl? And that the multi-billion luxury industryis being influenced by a 23-year-old Chinese student from the ColumbiaUniversity? If you are looking for a KOL (Key Opinion Leader) to endorse yourbrand, it’s no easy job. Navigating through the KOL landscape in China, tobegin with, would probably make you get cold feet. KOL is a broad term. Of course it includes high-profile celebrities who chargemillions of RMB for a ten-second commercial. However, with the booming ofsocial media in this country, we are witnessing bloggers who are craftingsmall, yet loyal and dedicated communities. This type of KOL is called‘micro-influencer’ in particular. These influencers are mostly nurtured fromWeibo, and gradually migrating to Wechat for the sake of exclusivity and personalcommunication with followers. While the traditional celebrities are able to beseen by the mass public, micro-influencers are focused on their own area ofinterest: art, fashion, comedy, culture…Their followers are much more engagedthan those of the celebrities, and this is great for marketers. If your targetaudience is clearly defined, collaborating with a micro-influencer would beyour prime consideration (they also charge much less!). You will be amazed by the variety of topics that influencers are curatingaround. Jianguo Ma, a blogger of his own life living with his dog, has garnered26 million followers on Weibo. Pet food and pet care brands are also doingproduct placement in his blog posts. Papi Jiang, a fresh graduate from theCentral Academy of Drama, started video blogging in 2015. After 1 year, PapiJiang became a household name in China, with around 20 million followers onWeibo. Her blog posts touch upon a variety of topics: culture, relationship,fashion, news…Papi Jiang is also endorsing cosmetic brands at the beginning ofher videos. Lastly, ‘Gossipmaker’ is another heated video blog accountrevealing secrets and gossips in the show biz. With more than 4 millionfollowers on Weibo, mostly millennials, the blog is endorsing internationalbrands such as KFC, YSL, and Giorgio Armani. With the flourish ofmicro-influencers, advertising/branding has gone beyond having a celebritycomplimenting on a product. Brand names are now naturally incorporated in thespeech of a video clip, or even as a punchline revealed at the end of a post(as ‘soft advertising’ in Chinese). 3. What to watch out for? Do not fully trust the number offollowers before your research on the KOL. These numbers could be ‘faked up’.Account owners can somehow purchase followers (even active followers) online,and it’s by no means expensive — 1 RMB for 100 followers on average. Make the right choice. Influencersbecame famous for different reasons: good taste in fashion, having the gut tospeak against authority, being good-looking, being funny or even being ashameless weirdo. So before making a decision, brands should be crystal-clearabout how they want to be perceived by their audience. 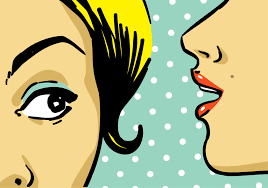 Blend your brand into the contentcreated by the influencer, not the other way around. It’s not abouthard-selling to the KOL’s followers, but making your brand relevant in a subtleand natural way. Also take into account that fans hate it when the KOL turnsinto a pure brand ambassador.